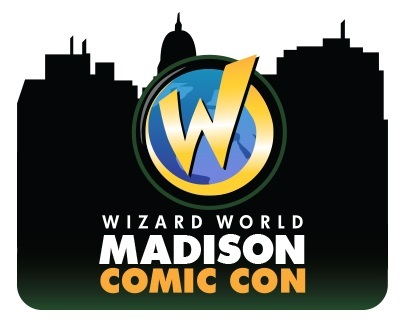 Wizard World, Inc. (OTCBB: WIZD) continues its 2015 schedule with its first trip to the Alliant Energy Center at Wizard World Madison Comic Con, February 6-8. William Shatner (“Star Trek,” “Boston Legal”), Brett Dalton (“Marvel’s Agents of S.H.I.E.L.D.”), Emily Kinney (“The Walking Dead,” Concussion), “WWE® Divas The Bella Twins™, Josh McDermitt (“The Walking Dead,” “Retired at 35”), Kristin Bauer (“True Blood,” “Once Upon a Time”), Eliza Dushku (“Buffy the Vampire Slayer,” True Lies) and George Wendt (“Cheers”) headline the roster of celebrity guests scheduled to attend the pop culture extravaganza. Shatner will attend on Friday and Saturday, February 6-7; Dalton, Kinney, McDermitt, Bauer and Dushku will appear on Saturday and Sunday, February 7-8; Wendt is scheduled for all three days of the event. Other well-known Wizard World Madison Comic Con guests include Michael Rooker (Guardians of the Galaxy, “The Walking Dead”), Adam West and Burt Ward (“Batman”), Jason Mewes (Jay and Silent Bob Strike Back, Clerks), Adrian Paul (“Highlander”), Billy Dee Williams (Star Wars: The Empire Strikes Back, Brian’s Song), Edward James Olmos (“Battlestar Galactica,” Stand and Deliver), Cassandra Peterson (“Elvira, Mistress of the Dark”), Scott Wilson (“The Walking Dead,” “CSI”), William Kircher (The Hobbit trilogy), James Marsters (“Buffy the Vampire Slayer,” “Caprica”), Lou Ferrigno (“The Incredible Hulk”), Jason David Frank (“Mighty Morphin Power Rangers”) and Ernie Hudson (Ghostbusters, “Heroes”). Wizard World is also the home of the most creative comics artists and writers on the planet. Artist Alley at Madison Comic Con will feature Phil Ortiz (“The Simpsons,” “Muppet Babies”), Mike Grell (“Green Arrow,” “Green Lantern”), Valerio Schiti (“Mighty Avengers,” “Guardians of the Galaxy”), Joanna Estep (“The Fantastic Four,” “Bravest Warriors”) and many others. In addition, all full-price Wizard World Madison Comic Con attendees will receive a limited edition exclusive variant cover “The Walking Dead” comic, drawn by one of Wizard World’s talented artist guests (to be announced shortly). Comics will be issued at registration while supplies last and VIP attendees will receive an additional black & white sketch version. Wizard World Comic Con events bring together thousands of fans of all ages to celebrate the best in pop-fi, pop culture, movies, graphic novels, cosplay, comics, television, sci-fi, toys, video gaming, gaming, original art, collectibles, contests and more. Wizard World Madison Comic Con show hours are Friday, February 6, 3-8 p.m.; Saturday, February 7, 10 a.m.-7 p.m., Sunday, February 8, 11 a.m.-5 p.m.
Madison Comic Con is also the place for cosplay, with fans young and old showing off their best costumes throughout the event. Fans dressed as every imaginable character – and some never before dreamed – will roam the convention floor and participate in the famed Wizard World Costume Contest on Saturday night.